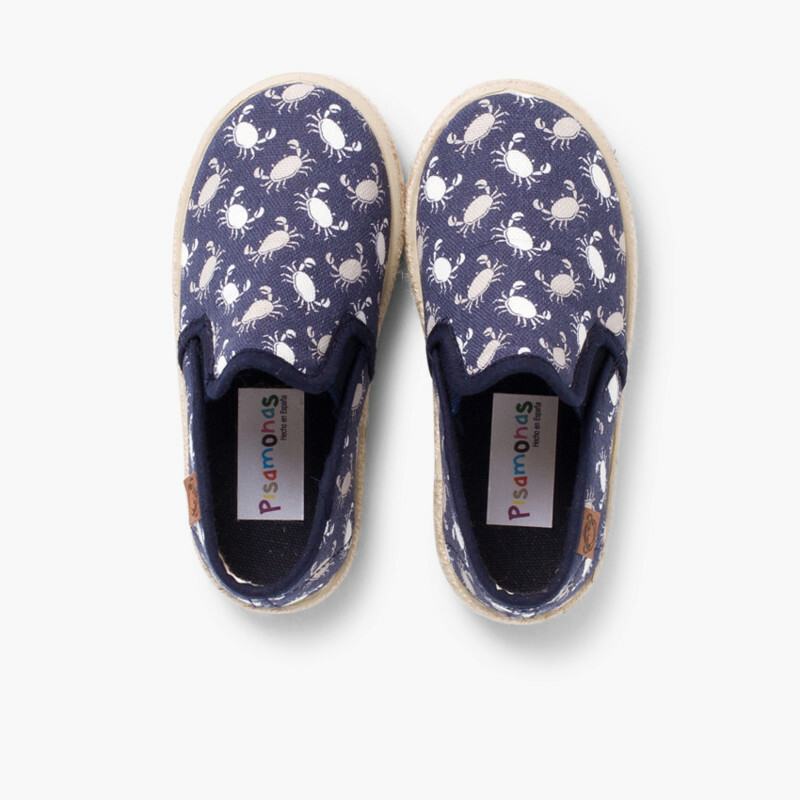 Once again Pisamonas has the coolest trainers of the season. 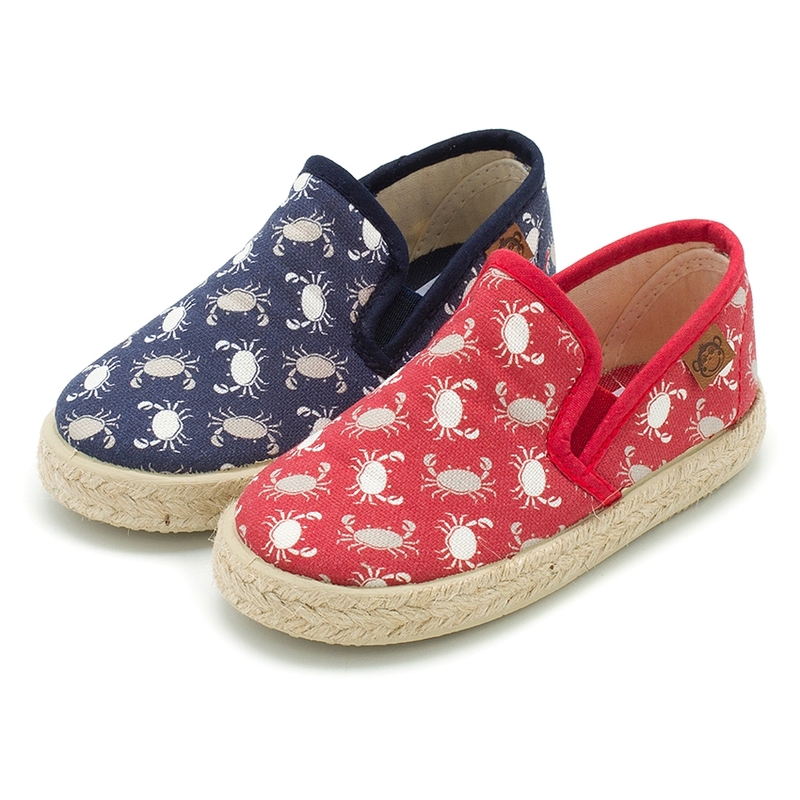 Canvas trainers with crab design! So original and comfortable they won’t take them off all summer. 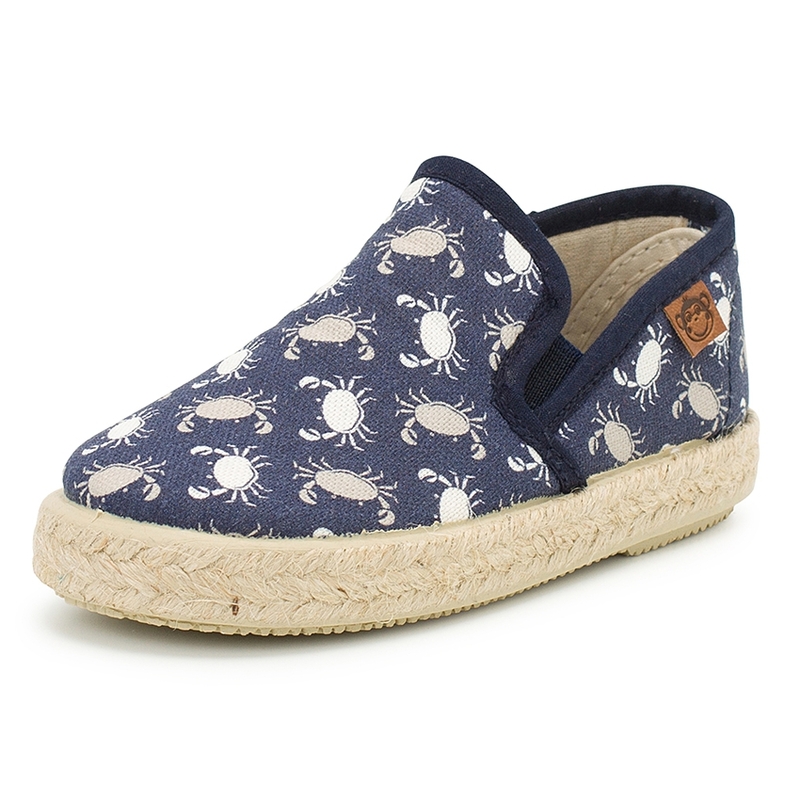 This fashionable design will become a must in your son’s wardrobe. 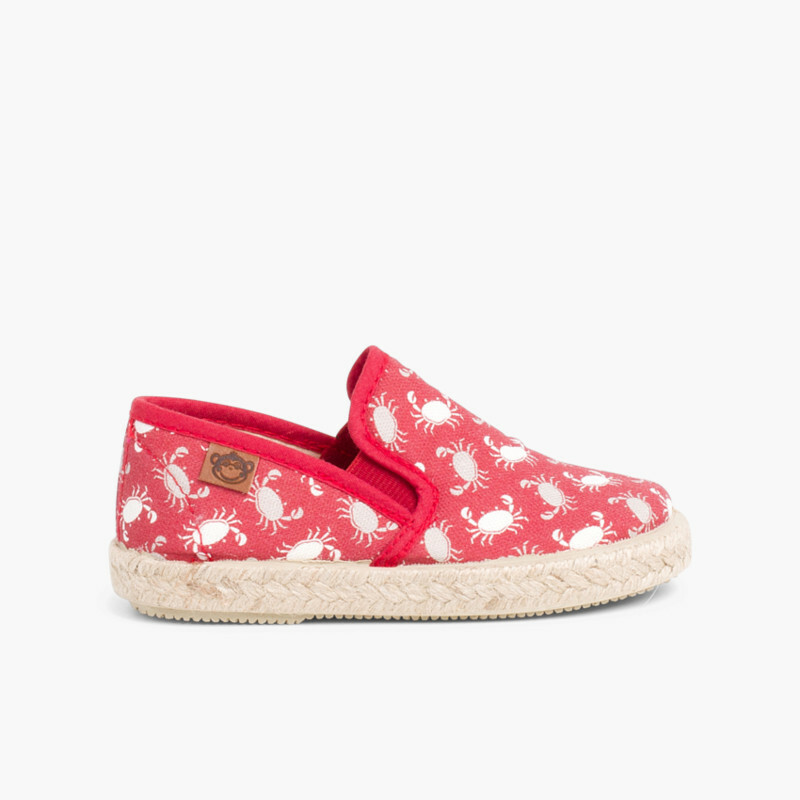 They are modern looking espadrilles with elastic bands at the front to help younger children put them on by themselves. 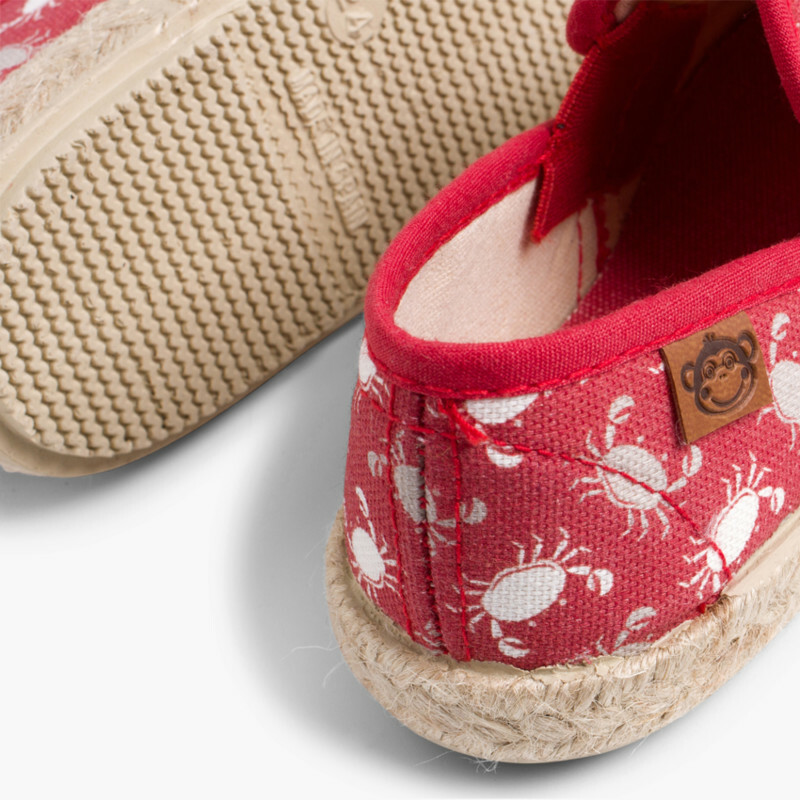 In canvas, with esparto grass soles and available in red and blue with a crab design they’ll become you’re son’s favourite shoes for the season. 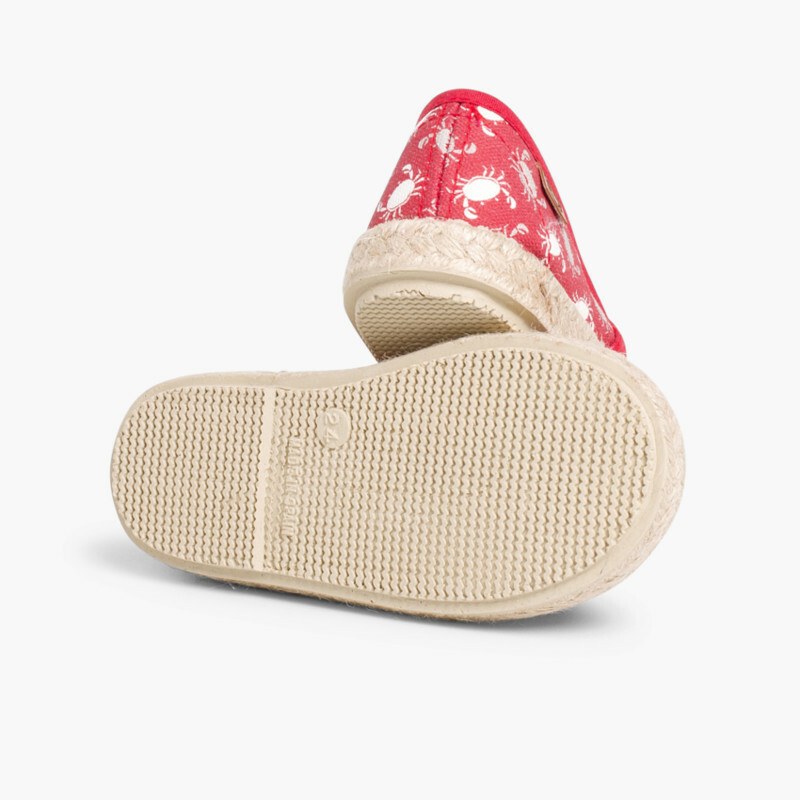 They’ll be in every child’s suitcase these upcoming holidays! 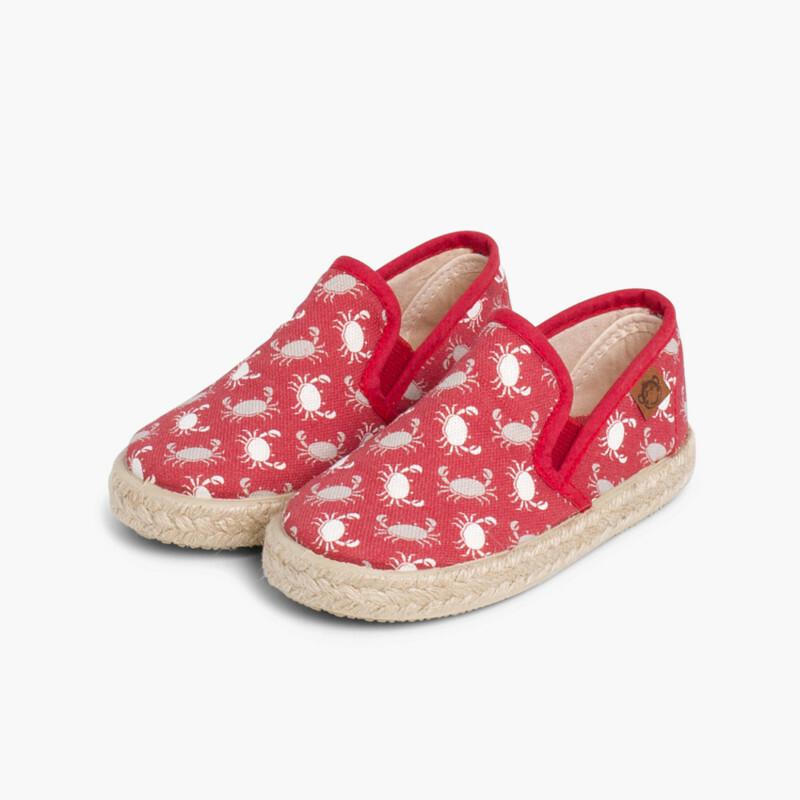 Especially designed for children, they are perfect to be worn with shorts and t-shirts. 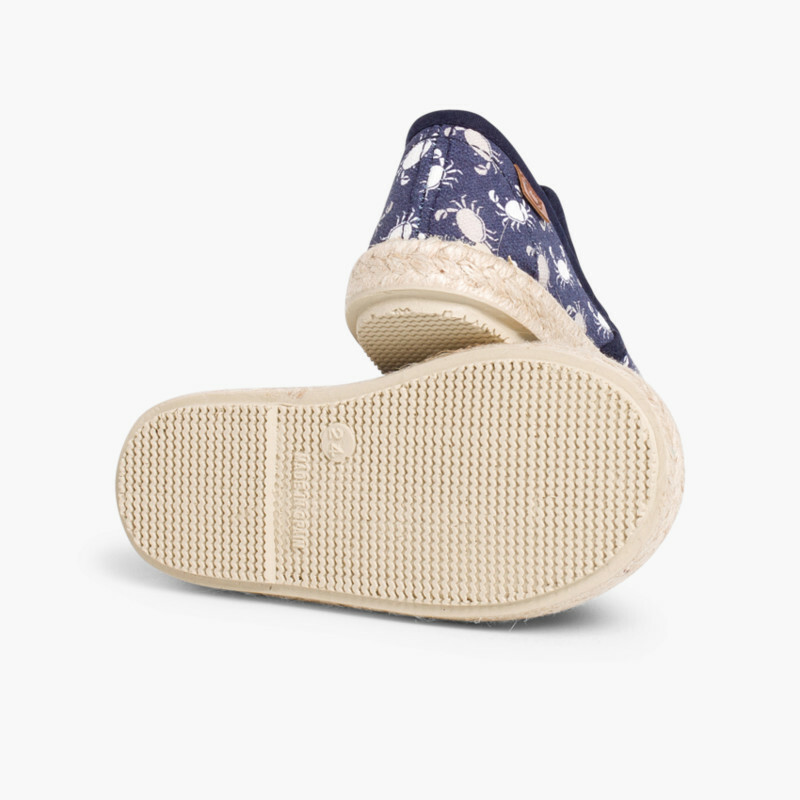 They look really cool and fun and they’re as comfortable as they look. 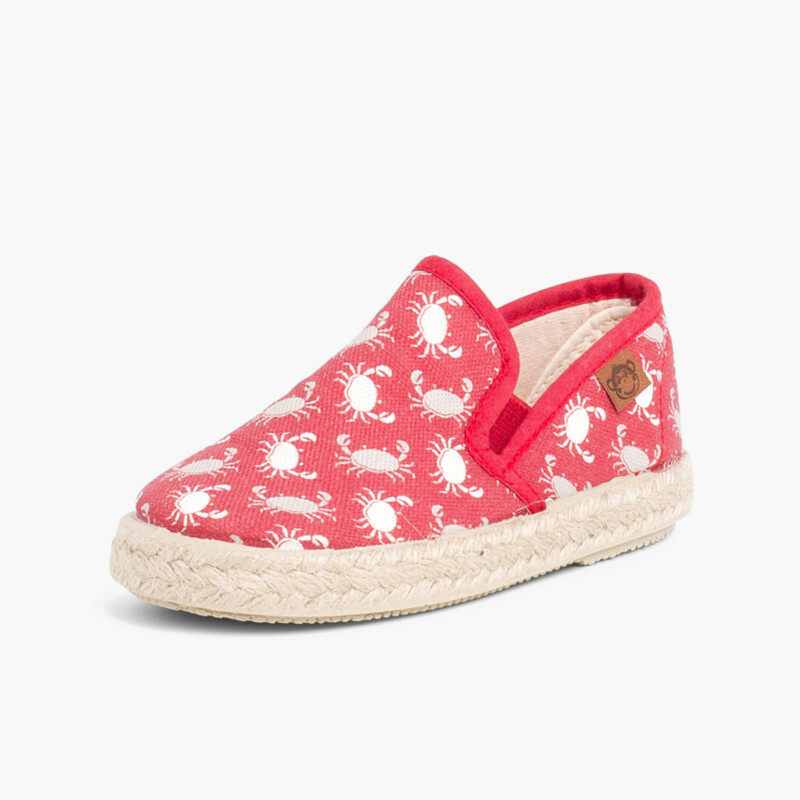 Perfect to resist your children’s activities during the summer! 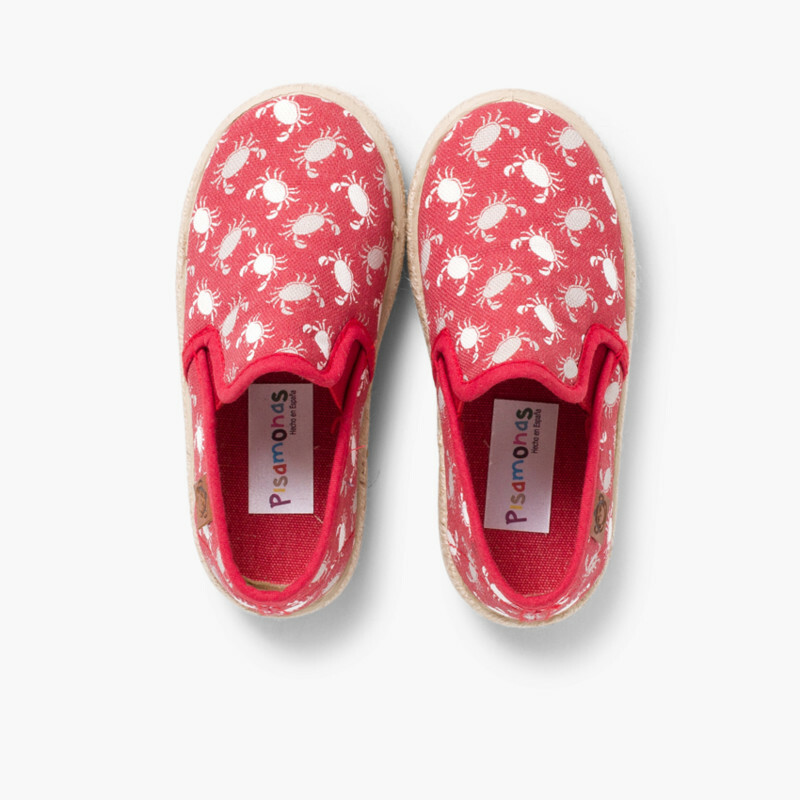 These trainers will add a cool and fun touch to your child’s outfits. 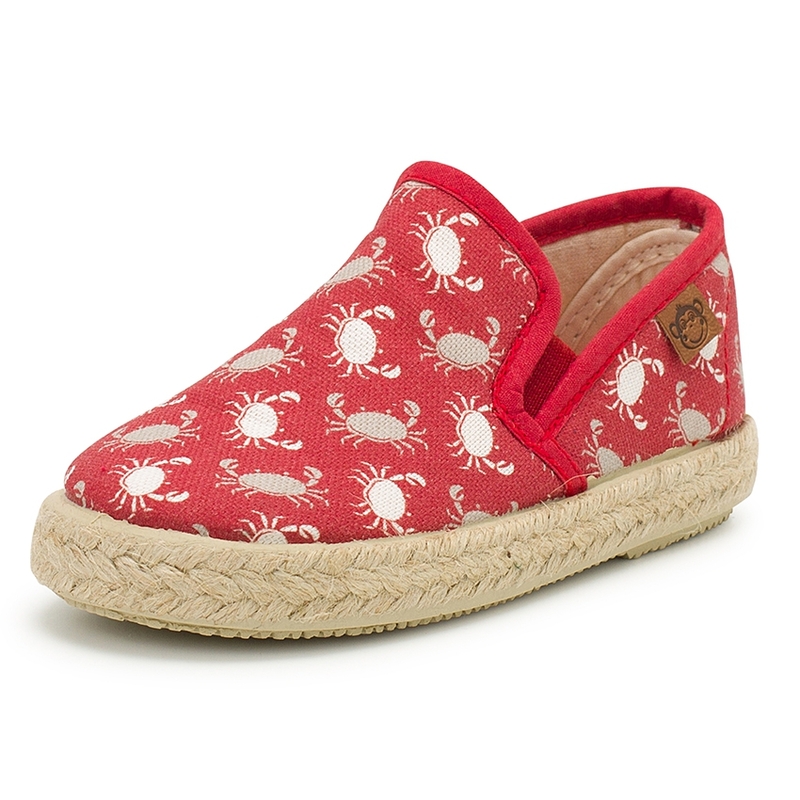 They are the best option to enjoy the beach or countryside and are made especially to meet your child’s needs! 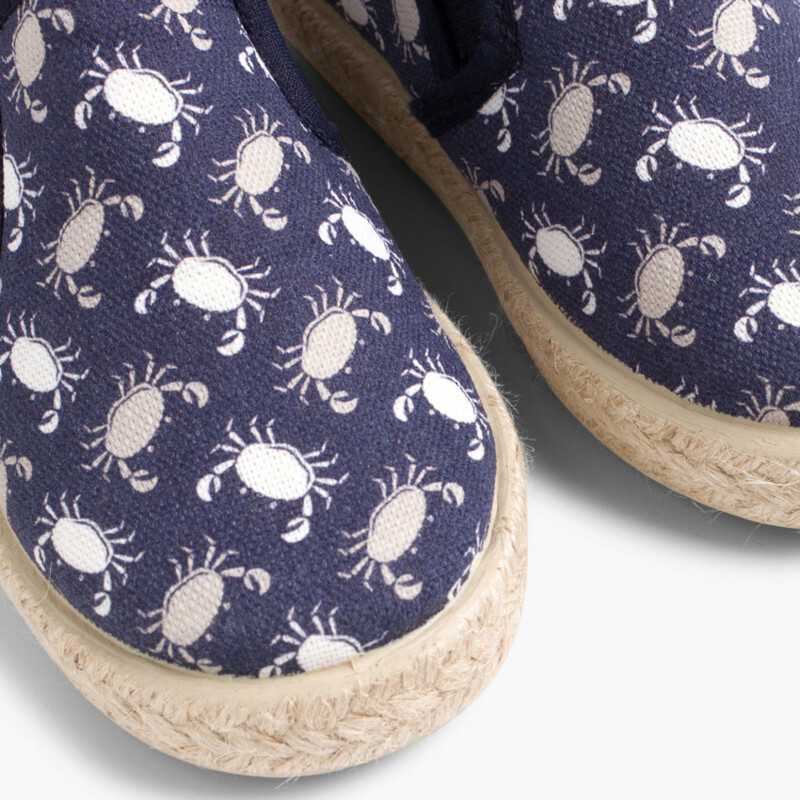 Available in sizes 3,5C to 15A, we’d like to warn you: these canvas trainers with crab design will be a total hit this summer. 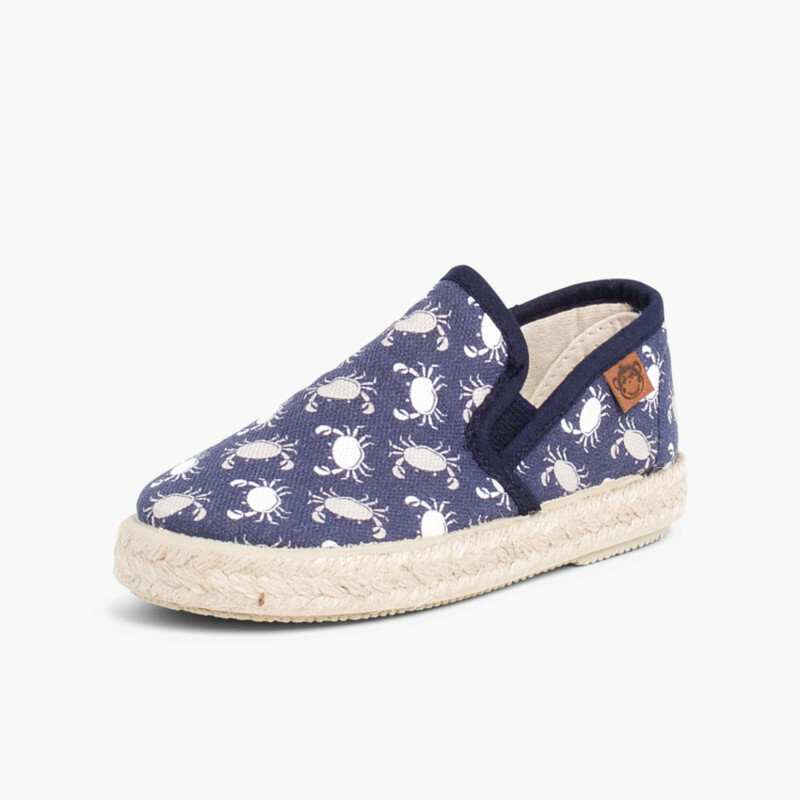 Remember that all footwear at Pisamonas is made in Spain with the best quality materials.